Send us your California news and pictures by noon on Tuesday. 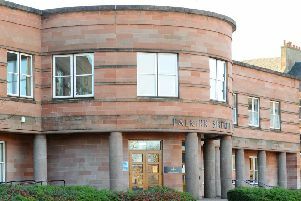 Shieldhill and California Community Council’s next meeting will be held in the Community wing, next to Shieldhill Primary School tonight (Thursday) at 7.30 p.m. All are welcome. If you have any issues you wish to raise or highlight, please attend.